Port City Paranormal ® | Port City Paranormal® Est 2004 http:// www.portcityparanormal.com. Copyright 2008 . Port City Paranormal® Est 2004 http:// www.portcityparanormal.com. Copyright 2008 . Are you looking for someone to help you with something unusual? Getting help isn’t as easy as googling ghosts anymore. Everything is Paranormal these days ! And I mean EVERYTHING! Type in the word paranormal, search ghosts /ghost hunting and an armada of sites are available. There are paranormal clubs, hobbyists, researchers, demonologists, para “celebs’, Paranormal TV, paranormal blogs, websites, radio, Paranormal evidence, photos, paranormal videos, vegetables etc. “Paranormal ” is no longer a fad for wannabee ghost hunters, it’s a buzz word for making money. It is possible to find reliable information and a trustworthy team and there are some wonderful dedicated people out there. Unfortunately, finding a trustworthy team to come into your home and investigate can prove to be difficult. There are multitude of paranormal search sites. It’s easy to find a ghost hunter anywhere in the world in a few seconds ! Posting your plight on social media sites such as FB,(although not recommended), will garner requests from hundreds of various groups. It’s easy to become overwhelmed by the sheer number of teams that advertise for cases. Be wary for there are many pitfalls to avoid. Choosing the right team depends what you want. If you want to be on television, go to the listings of television shows and submit a request. TV teams usually send a local team to do an initial assessment, and if your story is interesting the more famous team will schedule . If you want the truth, selecting the right team is essential. There are many groups who will publicize your haunting and your personal information,your address and photos without asking permission. The pitfalls are many for the unwary. We urge everyone to go to our website http://www.portcityparanormal.com and read our blog “Investigating the Investigator” ! THE BAD NEWS: Thousands Remain Nameless! When will we know the names of the Dead? 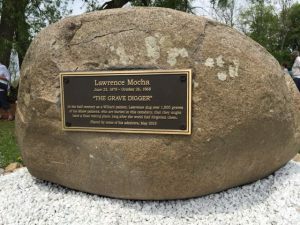 The New York State Office of Mental Health put on a fabulous “show” at the Willard State Hospital Cemetery on Saturday, May 16, 2015, by allowing ONE man, Lawrence Mocha, an inmate and hospital grave digger, who died 47 years ago, to be remembered with a beautiful ceremony that included a plaque displaying HIS NAME, DATE OF BIRTH, DATE OF DEATH, AND LOCATION OF GRAVE! OH MY GOD! IS HELL FREEZING OVER? 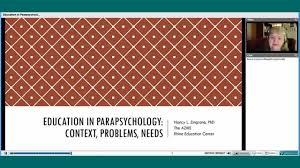 Excellent advice on education in the field of Parapsychology. Apparitions, Hauntings & and Poltergeists ! For details go to Events at http://www.rhine.org. Join us in Durham, or Live online for this interesting discussion ! Port City Paranormal Ghosts- Why do Spirits Stay? We all have different plans and goals for our lives, and it is widely thought that if these plans are not achieved, we might end up being a ghost! There are several theories that suggest why this happens . At the moment of death, it is believed we are offered a choice: We can except death and move on to the next thing, or linger here on earth in spirit . This “either/or” statement ignores the fact that for some, there may be no choice. There are many beliefs, but what follows death remains unknown. As individuals our choices can be limited by religious dogma, cultural, and family beliefs. We may grow to learn alternative views, and embrace or reject the ideas of Heaven, Hell, Reincarnation, or soul travel etc.. There are those who believe there is no afterlife at all, that consciousness ends when we take our last breath. For others,the afterlife is a place of punishment where we pay for the sins of the living. Often ,the fear of death and the unknown that follows is so great, they choose to remain forever earth bound. Many souls are shocked by the moment of death. They deny their death, and are convinced they still live out their lives regardless of the passage of time or changes in the environment. Perhaps this explains the activity that occurs during renovations. I believe there are those who have become lost or confused or possibly unaware of their own death, due to prolonged physical or mental illness. In these cases, only gentle intervention should be used. We must be vigilant in our research, and examine every detail of a haunting . 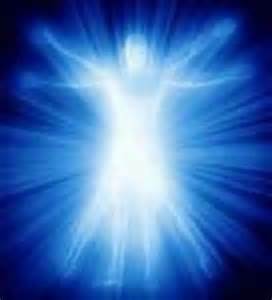 Identification of the spirit and why they remain, and their beliefs must be established before offering any solution. We often ask , “Why do you stay?” The answers have been different with each case. We have recorded EVP indicating a spirit was confused in life and possibly unaware of their own death, and a few alluded to spirits being held by force to a site (by whom or what we could not confirm) It seems very possible that due to our beliefs, we can become are own jailers. Some cases have produced EVP evidence where spirits preferred to stay. They express an awareness of the passage of time, and come and go as they please, returning to observe the living. These special spirits prefer to stay in a familiar place and do not appear unhappy. They stay out a sense of duty and to watch over the living who pass through. EST. 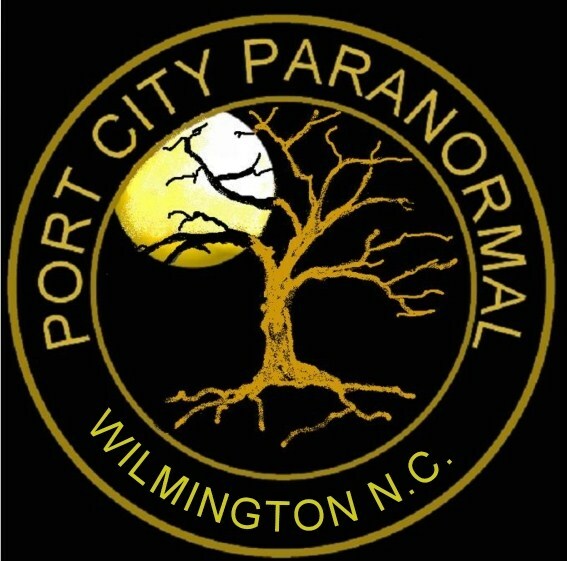 2004, Port City Paranormal is Wilmington’s oldest and finest paranormal research team. We are currently accepting new case investigations. For help please contact us at portcityparanormal@yahoo.com. Port City Paranormal © Award winning Paranormal Research and Investigations. Located in Wilmington North Carolina. Please see our official website http://www.portcityparanormal.com for more information on our team, our investigations and more. Established in 2004, Port City Paranormal © is dedicated to the search for evidence of the continuation of consciousness after death. Port City Paranormal is a non-provoke group. Our mission is to enhance the quality of paranormal investigation and research, to educate the public and provide a high standard of professional excellence through our unparalleled services. We look forward to sharing articles, opinions and evidence. There is only one Port City Paranormal © Come Meet us ! Paranormal teams complain that they can not get to investigate important sites, because many haunted areas are closed to investigators. Why has this happened? Trespassing! Here’s a great piece of advice when investigating: ALWAYS get written permission from the owner to be on the property at that specific date and time (including a list of investigators.) Without proper authorization, you can be arrested for criminal trespassing. If there is a gate, or even a simple chain baring your path and you enter without written permission, you will also be charged with Breaking & Entering. Take one stone from the site and you stand to be arrested for property theft as well. No matter what someone says, research the property and contact the owner. Your reputation is at stake! Get all permissions in writing, and remember, all properties require permission. Some would argue that graveyards are public property, they are not. Although they are open to the public daily, after hours these sites are secured. Many of the properties are state-owned, in escrow or belong to a church or religious groups. If you believe a site is truly abandoned, go to local courthouse and search records to confirm the fact. Property that is overgrown or in disrepair does NOT mean it has been abandoned. So when the law stops your group you better have your permission documented. Only an owner or specified caretaker can give permission for access. Areas around Wilmington that are strictly off-limits include the Maco area, the so-called “meat packing plant” (very dangerous and a known toxic dump), Ft Fisher, Ft Macon and all state/ federally owned property. You can always contact owners and request permission, offer a donation etc. But do not get the reputation as a trespasser. Would you allow a criminal into your home? Check a few “paranormal” websites, many boast team pictures in a grave yard. These teams immediately become suspect and should be avoided as they apparently do not know the law, care to obey it, or respect the property of others. There are exceptions to this rule, a few may have permission, but that is rare. Pleading ignorance of the law with an arresting officer doesn’t work. Another problem with the ghost hunting fad includes those who demand money for a service that is basically an unproven science. Teams have been known to coerce “donations” in the form of travel expensed, equipment needs etc. I ran into a team on the net who charge $200 for a local visit and $1800 for out-of-town. Many teams charge for the removal of “possessed objects”, home blessings/ cleansing or the capture and removal of demons! I noted one “meetup group” that performs exorcism for a fee! Too many groups misrepresent their experience, knowledge and training, which is clearly fraudulent. Self-proclaimed “experts”, dermatologists, fake psychics, teams who offer worthless certifications, the greedy and the thrill seekers continue to make the research more difficult and contribute to the closing of many sites. 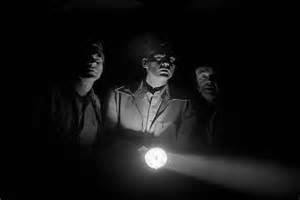 Investigation and research into the unexplained is a calling, unfortunately to many it is just a game or a thrill. Too many times these so-called ghost chasers enter a home, find all sorts of evil “ghosts”, “demons”, get no proof and generally scare the pants off of the poor folks who trusted and looked to them for help. Because they are poorly trained, what had been benevolent haunting can explode into more violent activity. The thrill seekers leave and go home, the clients are left to stay in the terror that team created. No matter what someone says, research the property and contact the owner. Your reputation is at stake! Get all permissions in writing, and all properties require permission. Areas around Wilmington that are strictly off-limits include the Maco area, the “meat packing plant” (very dangerous and a known toxic dump), Ft Fisher, Ft Macon and all state/ federally owned property. You can always contact owners and request permission, offer a donation etc. But do not get the reputation as a trespasser. Check a few “paranormal” websites, many boast team pictures in a grave yard. These teams immediately become suspect and should be avoided as they apparently do not know the law, care to obey it, or respect the property of others. There are exceptions to this rule, a few may have permission. Pleading ignorance of the law with an arresting officer doesn’t work. Too many groups misrepresent their experience, knowledge and training, which is clearly fraudulent. Self-proclaimed “experts”, demonologists, fake psychics, teams who offer worthless certifications, the greedy and the thrill seekers continue to make the research more difficult and contribute to the closing of many sites. Investigation and research into the unexplained is a calling, unfortunately to many it is just a game or a thrill. Too many times these so-called ghost chasers enter a home, find all sorts of “evil spirits”, “ghosts”,and “demons”. There is no proof of their “findings” and this generally scare the pants off of the poor folks who trusted and looked to them for help. These fabricated ghosts now must be banished which adds more to their fee . Because these groups are poorly trained; what had been benevolent haunting can explode into more violent activity. The thrill seekers leave and go home, the clients are left to stay in the terror the so-called team has created. How can we protect the public from fraud and exploitation? Simple: Education!. To this end,Port City Paranormal is promoting “Investigate the Investigator” A program that informs the public to the dangers of having strangers investigate your home. Who are the investigators, have they done this before ? Check their references ! It is our duty to teach the public what to look for and what to expect from a paranormal “team” in this field without certifications, or licensing. We are also bound by ethics to” first do no harm”.